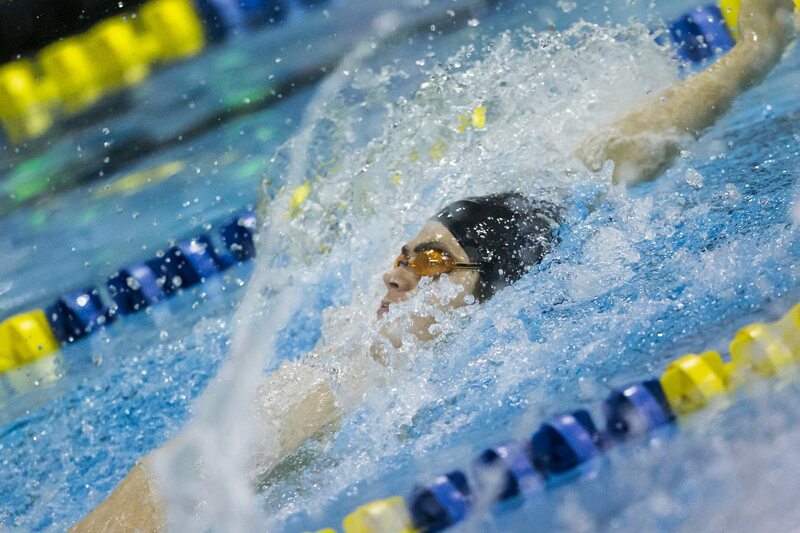 Michael Andrew, a P2 Life Athlete, who mostly owns the 13-14 National Age Group record book in short course, is beginning to pencil his name into the long course version as well. The 14-year-old of Indie Swimming set a new 13-14 NAG record in the 100-meter back this morning at prelims of the Austin Grand Prix. Andrew went 57.38 to barely get under the old record of 57.39 set by Benjamin Ho last April. Andrew nearly even-split the race, going out in 28.40 and coming home in 28.98. He sits 12th in the event, meaning he’ll get a shot to lower the mark further in finals. That NAG record came on the heels of the 100 breaststroke, where Andrew was just a tenth off the NAG record of 1:04.74. He’ll also swim that event tonight, and he’s still got the 200 IM to swim at prelims, an event in which he already owns the NAG. That means he could have a shot to go 3-for-3 today on National Age Group records. I don’t think that record will last a long time. There are amazing 12-year-old backstrokers who swim very very very fast now. I predict that Destin Lasco and Vinny Marciano will break it in 2 years. But congrats to Mr Andrew. Backstroke isn’t his best stroke and he still breaks the records!